There are 43 drivers entered in the XFINITY Series’ first road course race of 2018, meaning that three drivers will miss the show. First of the six Cup regulars running Saturday’s race will be Austin Dillon, who takes the place of Shane Lee, 13th at Iowa. Dillon has two XFINITY starts at The Glen, but none since 2013, when he finished a track-best 12th. Welcome back four-time K&N Pro Series East driver Scott Heckert, who takes the place of Ray Black, Jr., 28th at Iowa. Heckert returned to XFINITY competition at Chicago last month, and again reunites with B.J. McLeod’s team. This time, he drives the #8 in place of the #78, which will again have Tommy Joe Martins behind the wheel. Heckert has three East Series starts at The Glen, highlighted by back-to-back wins in 2014 and 2015. Penske’s second XFINITY car returns, but this time, not for Austin Cindric. Cindric switches back to the #60 this week, taking the place of Chase Briscoe, who isn’t entered. As in years past at The Glen, Penske will stack their deck with Cup regulars Brad Keselowski (#12 Wabash National Ford) and Joey Logano (#22 Snap-On Ford), who finished 2nd and 3rd in this race last year. With Kyle Busch not running the #18 on Saturday, expect that duo to be a factor once again. MBM’s third car returns to competition this week with Carl Long behind the wheel of the #13 OCR Gaz Bar Toyota. Timmy Hill joins him in the #66, taking the place of Stan Mullis, 33rd at Iowa. With Brandon Hightower tabbed to run the #15’s remaining oval track races in 2018, B.J. McLeod was originally set to make his first XFINITY start at The Glen since 2016. By Tuesday, that changed to Mike Skeen, who we last saw in NASCAR involved in a controversial last-lap tangle during the inaugural Truck Series race at Mosport. Since then, Skeen has remained active in sports cars, making four starts last year driving Mercedes in the Weathertech SportsCar Championship. Truck Series team owner Al Niece (with 54 series starts) enters the XFINITY Series for the first time, bringing a #17 PMC Group Chevrolet to Watkins Glen. Behind the wheel is road racer Victor Gonzalez, Jr., who last drove in NASCAR's top three series when he raced Niece's truck last fall at Mosport, finishing 16th. Gonzalez aims to qualify for his first XFINITY Series race since this race in 2012, where he also ran 16th for RAB Racing. It’s a young gun swap at the #18 team as Ryan Preece takes the place of Kyle Benjamin, who ran 3rd at Iowa. Like McLeod, Preece hasn’t run this race since 2016, when he finished 27th for JD Motorsports after suspension issues. This time around, he’s in the #18 Toyota for Joe Gibbs Racing with sponsorship from new team backer Craftsman. Casey Roderick earned a solid 15th-place finish in his return to XFINITY Series competition at Iowa. This Saturday, the #23 Chevrolet will be driven by 2014 Cup Series winner A.J. Allmendinger. It will be Allmendinger’s first XFINITY Series start since 2013, when he took the checkered flag at Mid-Ohio for Roger Penske, and his first-ever in the series at Watkins Glen. As for Spencer Gallagher, he’ll be making a first of his own (see below). Justin Haley and the second GMS Racing car are back for the first time since each were denied victory at Daytona. It marks Haley’s first NASCAR start at The Glen since 2016, when he finished runner-up to Austin Cindric in the K&N Pro Series East race, driving for HScott Motorsports. RSS Racing has swapped its second and third drivers once more, putting J.J. Yeley back in the #38 and Jeff Green in the #93. For Yeley, it will be his 600th NASCAR start across the top three series, dating back to the XFINITY race at Las Vegas on March 6, 2004. For Green, Saturday will mark his 500th XFINITY Series start, which dates back to September 8, 1990 at Richmond. Kyle Larson trailed this race last year after engine trouble, and in 2018 returns for another go. He takes the place of John Hunter Nemechek, who in the last three XFINITY races has finished 5th at Iowa, 4th at Loudon, and 7th at Kentucky. Peter Shepherd III finished 31st at Iowa, finishing under power in his long-awaited series debut. 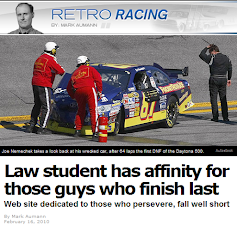 This week, Stephen Leicht, who started the year in JP’s #55, was again entered in the car. Leicht has not raced at The Glen since 2012, when he finished 42nd for The Motorsports Group in the XFINITY race, then 26th in the Cup race for Circle Sport. By Tuesday, Leicht was out, and replaced by David Levine. Levine aims to make his first XFINITY Series start after just one Truck Series start before, a 17th-place finish in the 2015 Homestead finale. When Levine ousted him at JP Motorsports, Stephen Leicht landed at Mike Harmon's team, where he takes over for the team owner in the #74 Chevrolet. For the second time in a month, Morgan Shepherd has withdrawn his #89 Chevrolet. This news was reflected on the Racing-reference.info page on Tuesday, not long after the #17 Al Niece entry was added. This marks the third-straight year Shepherd has withdrawn his team from Watkins Glen. Brian Henderson returns to the scene of his XFINITY Series debut last year, where ignition trouble left him 33rd. He again drives for DGM Racing in the #90, taking the place of Josh Williams, 24th at Iowa. This Saturday’s car will be sponsored by the Friends of Jaclyn Foundation and Mini’s Mission, both initiatives to benefit children with cancer. Aric Almirola is back in the XFINITY Series for the first time since the Daytona opener, and is again in the #98 Ford. This time, he will be backed by GoBowling, the organization sponsoring Sunday’s Cup race. Almirola has raced the Zippo 200 only once – in 2011 – when he finished 8th for JR Motorsports. 2017 Last-Place Finisher: Dale Earnhardt, Jr. There are just 37 drivers entered in this weekend’s annual trip to Watkins Glen, tied with last year for the fourth-fewest starters in this race. It will also be the 17th short field in 22 races this year and the third in the last four rounds. Jay Robinson’s team scales back from two cars to one at The Glen, and has sat both Reed Sorenson and the #7 Chevrolet. Making the trip north will be Ross Chastain, who will once again run the #15 Chevrolet. Chastain, a strong 4th at Iowa, has never run the Cup race at Watkins Glen, but has three starts in the XFINITY race with a best finish of 14th in 2016. The biggest change on the Cup entry list is the arrival of Spencer Gallagher, who returned from his suspension in the XFINITY Series race at Kentucky, but did not run at Loudon or Iowa. Instead, Gallagher will make his Cup debut in a car that, coincidentally, runs the same number as his XFINITY Series effort. The car, officially listed under BK Racing but undoubtedly with support from GMS Racing, will also carry sponsorship from Allegiant Airlines. As mentioned above, A.J. Allmendinger will drive the team’s XFINITY car on Saturday. Josh Bilicki will run double-duty this weekend, returning to the Cup Series for his third series start, following 36th-place runs last summer at Sonoma and Loudon. Bilicki takes the place of B.J. McLeod, who finished last at Pocono. McLeod was the listed driver until Wednesday, and was also swapped out of his XFINITY ride with JD Motorsports. Carl Long confirmed on Facebook that MBM will focus exclusively on the XFINITY Series race at Watkins Glen, where Timmy Hill will drive the #66 on Saturday. Hill, who finished 36th in the team’s newest Cup chassis due to handling issues, will return to Cup at a date to be determined. After running the five Cup races since Sonoma with a best finish of 27th at Loudon, Corey LaJoie is back out of the #72 Chevrolet, and Cole Whitt is back in. Whitt ran 35th at Sonoma, out after a mid-race crash, but has more often earned respectable finishes on the road courses. In four previous Cup starts at the Glen, his last-place crash in 2014 is his only DNF. His best came the next year, a 21st for Front Row Motorsports. 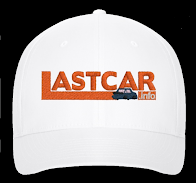 Pocono saw the return of the Gaunt Brothers with Jeffrey Earnhardt driving for them for the first time. 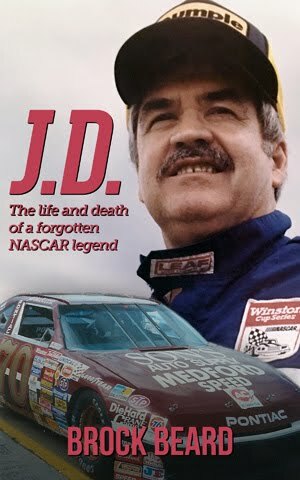 Earnhardt will again run 13 of these remaining 15 races. Sunday was just added to the schedule, meaning that GBM will run all but one of these final races in 2018. In Earnhardt's place comes Parker Kligerman, who ran the car to a 23rd-place finish at Sonoma. Derrike Cope’s team scales back from two cars to one this week, benching the #99 and driver Kyle Weatherman, who ran the last two rounds. Cope has kept Landon Cassill in the #00 after Tomy Drissi drove the car to a 32nd-place run in Sonoma. Cassill has started the last six Cup races at Watkins Glen with a best finish of 23rd both in 2012 and 2016. The Truck Series takes a week off and returns next Saturday for the 2-mile oval in Michigan. The road courses test the limits of a car’s many mechanical parts, but also the fluids. The only time that “oil temperature” was the listed cause for a last-place finish occurred on the old Riverside International Raceway on November 16, 1986. During the running of the Winston Western 500, the season finale, West coast regular John Krebs started last in the 42-car field driving his #38 Skoal Bandit Oldsmobile. In doing so, he best 13 drivers in qualifying. Among that long list of DNQs was John Soares, Jr., the current owner of the Antioch (California) Speedway. Krebs turned just 17 laps at Riverside before he fell out for the listed cause. You better get an interview/picture with Spooner Galapagos. I know you don't post on a certain forum anymore, but they'd like that. I don't post on that sub forum much anymore for the same reasons, but people have actually been asking about your status. Post a pic of you and Shooter together, and leave it at that. 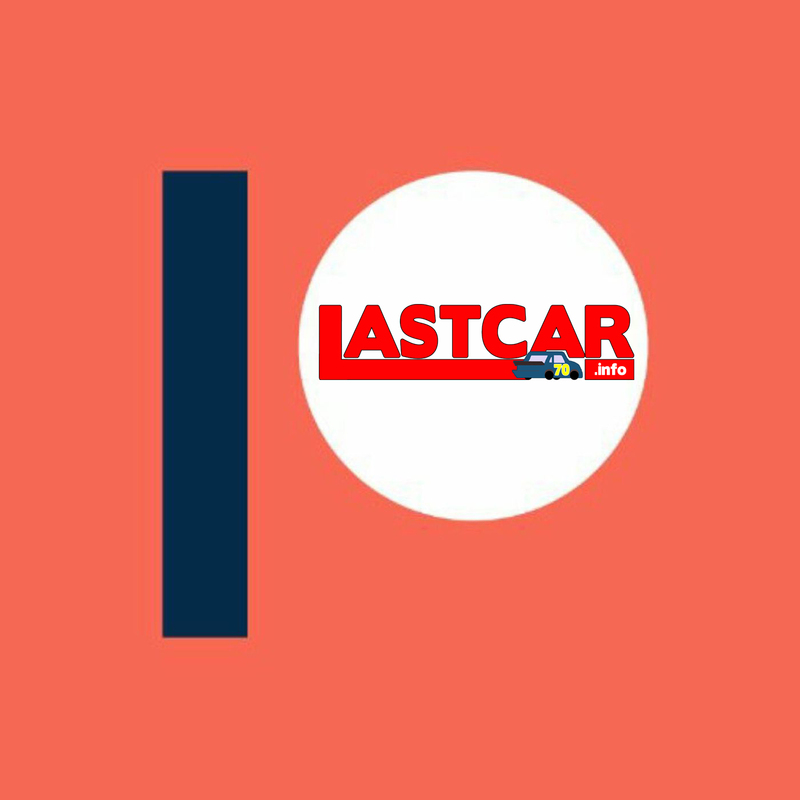 I really enjoy the work you do for LASTCAR. I kind of did the same thing back in the day. Thank you, BFN. I reached out to Gallagher and we talked briefly by Twitter, but unfortunately we couldn't meet up in time to make an interview happen. I hate that we couldn't make that work - was a big moment for him and we'd talked about that for years. But getting denied my Cup credentials by the track made that near impossible. Gotcha. Thanks for the reply, I appreciate it. Keep up the good work. XFINITY: Lally says Roval race will be "crazy"